You can probably still remember when you as a parent watched your adorable little baby learn how to walk for the first time. You can’t help but be amazed at how fast they have grown up. Pretty soon, you’ll be enrolling them in nursery school. If you are among the many excited parents who are about to enroll their three or four year-old kids in a play school or formal pre-school and contemplating on ways to effectively teach the A-B-Cs to your budding little Einsteins, here are some tips for a fun learning experience. 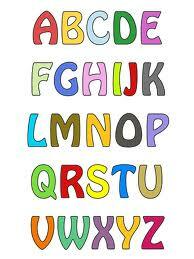 The best approach to teach him or her the alphabet is to encourage the child’s natural curiosity. Teach the alphabet through fun, spontaneous activity-based learning. At young ages, highly competitive activities may stress the child too much and interfere with the kids’ natural development. Kids vary though, in the pace with which they can start absorbing key concepts like the alphabet. There are some who can already recognize letters as early as age two or three, but there are also late-starters. As social theorists like Jean Piaget and Jerome Bruner postulated, children must be allowed to develop and learn pieces of information or concepts on their own. Indeed, studies show that it’s the free time spent interacting with the world which boosts confidence and creativity. Parents who prefer to be more hands-on can actually track their children’s development on a sensory-themed timeline. Color-matching letters with pictures, story games, colorful and interactive toys with sounds are but some of the learning tools to introduce kids to the alphabet. Once a child’s attention is hooked, or his/her interest and curiosity sparked, it can be the best stimulus to learning. Once you get them off to a running start, you can relax a bit and let them learn on their own. 2. through books or cut-out pictures. 5. through art activities like finger painting. The first recommended method, singing melodious songs that include all letters of the alphabet, is a tried-and-tested method that appeals to just about any kid. Singing with your kids can be real fun and mind-stimulating for tots. The second method highlights the importance of books and pictures in igniting the interest of young minds for basic concepts like the alphabet. Getting kids interested in listening to their parents read bedtime stories are a great way to introduce the letters in the alphabet. Children’s books with individual letters and matching photos of animals or common objects are all-time favorites among parents and other well-meaning adults who give these as gifts to toddlers and young learners. Make the most of these learning aids for your nursery-age kids. The third effective method to teach the alphabet to kids is through food. You can try baking cookies with frosted decoration of the different letters of the alphabet on each piece. Your child will surely get a kick from identifying the letters before gobbling the cookies. The fourth method, alphabet games, may be used in combination with some of the aforementioned methods. You can give free rein to your creativity – from putting alphabet magnets on the refrigerator where your child can see them, to opting for flash cards, or playing educational alphabet DVDs during conducive moments, there are varied ways to teach your child the alphabet. The final method incorporates fun art activities like finger painting the different letters of the alphabet in different colors will likewise stimulate the different senses, notably the touch and sight of kids. Children find this activity very entertaining. We hope you enjoyed reading about these educational ideas. By the way, it’s a good time to search for some good Halloween costume ideas for the little one since its the season of giving! We will be posting some new educational articles and ideas in the near future.